Have you heard about dry brushing? Not only does it exfoliate your skin it also offers a ton of health benefits- lymphatic drainage, reducing cellulite, firming the skin, and a natural energy boost! Many spas have started offering the service, so I picked up a natural bristle brush and gave it a try for myself and I’m loving it so far! It takes a bit to get used to, so start off with a light touch. It’ll start to feel great in no time! It’s recommended to dry brush before you shower. You’ll want to start at your feet and work you way up, always brushing towards your heart/chest area where the lymphatic system drains. On the legs and arms brush in an upwards motion several times on each section. On the stomach and armpits brush in a circular motion. Don’t apply too much pressure- let the brush do the work. My skin is slightly pink afterwards but not red. If your skin is red or stinging, you are applying too much pressure so lighten up a bit! Once I’m done dry brushing I hop in the shower and use my absolute favorite shower gel-L’Occitane Almond Oil! The scent is absolutely amazing and it transforms into a softening foam that leaves my skin feeling like satin. Looking for a great disposable razor which also exfoliates and moisturizes? Try the Gillette Venus & Olay razors. No need for additional shaving gel or oil so one less step or item to purchase! One of my favorite parts of summer is having a tan, but I also try to stay out of the sun as much as possible to avoid skin damage. I’ve started using the Loving Tan 2 Hour Express and I’m loving the results! The dry brushing and Almond Oil makes sure my skin is prepped and ready to go at all times whenever I feel like I need a bit of a glow. I wouldn’t dry brush or shave right before applying the self tanner so make sure you wait till the next day or that night. I also don’t dry brush after self tanning since it would remove it! The self tanner is a mousse consistency and has an instant bronzer so can easily see where you have applied without missing an area. I bought the dark color and it works perfect for my skin tone. I also bought the mitt and back applicator to stay as streak-free as possible. The mitt is amazing and while the back applicator is a little cumbersome it does a good enough job. It’s probably easier to just have somebody else do your back, if possible. I also found a couple Loving Tan application videos on YouTube that have given me some tips and tricks that have really helped. It dries super fast so you can put on your pajamas or clothes on right away, which is a huge plus for me. I have tried so many and this one is by far my favorite. It doesn’t smell or turn my skin orange- just leaves me with a nice tan without streaking! Deodorant isn’t really skin care but since you are going to look so fabulous let’s make sure you stay dry and smell amazing! During the summer you may need a good antiperspirant and my favorite that I use year round is the Donna Karen Cashmere Mist. It is a little pricey but lasts a long time and does the job! Works for me even throughout the toughest work out. Smells amazing too! 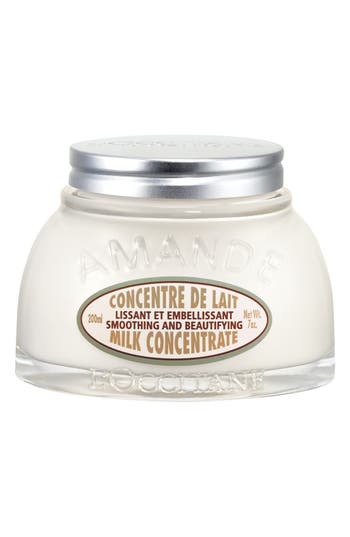 L’Occitane’s Almond Milk lotion is my absolute favorite body lotion because it is super rich and creamy and it smells amazing! It pairs so well with the Almond Oil I use in the shower. L’Occitane is definitely a bit of a splurge, so you are looking for a less expensive brand I do like the Neutrogena Deep Moisture body lotion. It does the job just as well! After you get dressed take your favorite face highlighter and brush a little on your shoulders and chest for just a little added glow. Cheers to summer!